This beautiful basement is the pride and joy of a homeowner’s two-year do-it-yourself project. 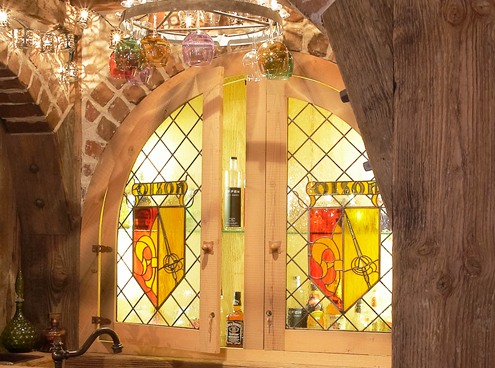 The owner has designed and transformed the lower level into a space that steps back more than 400 years to echo the Renaissance and Medieval eras but with a modern touch. 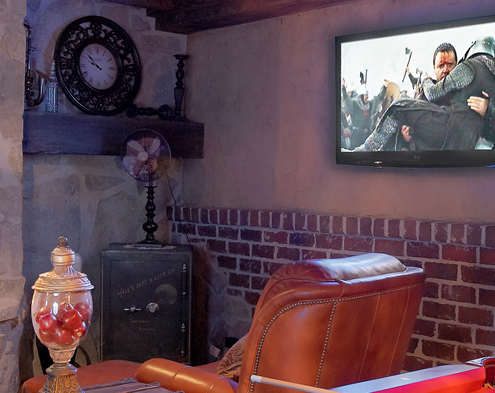 Digital Home Technologies developed and engineered audio and video installations to bridge the centuries. 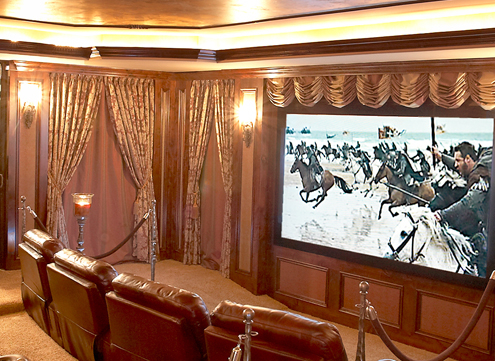 The bar, theater and billiards areas reflect the owner’s sense of fun, artistry and history while satisfying the family’s need for the best in high-tech entertainment.